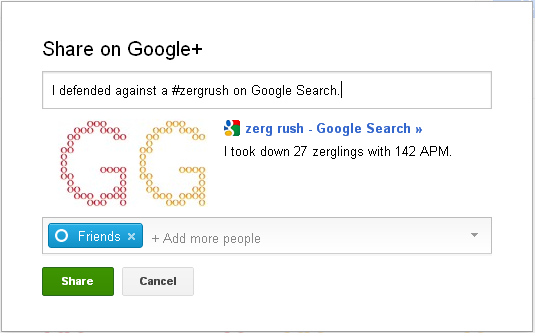 Home Easter Egg Google Google's New Easter Egg "Zerg Rush"
Google's New Easter Egg "Zerg Rush"
Easter Eggs makes you fun on Google search results. Google previously created many easter eggs to make fun. 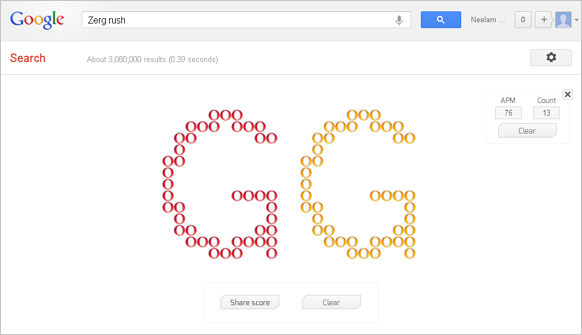 Now Google created a new Easter egg called "Zerg Rush". Just open Google.com and search this word with out quotes "Zerg Rush". If you like this post please share with your friends..